After graduating from All Hallows High School in the Bronx, Polynice played college basketball at the University of Virginia. After three years in college and playing with Serie A's Hamby Rimini in 1986-87, he was selected 8th overall by the Chicago Bulls in the 1987 NBA Draft, but was immediately traded to the Seattle SuperSonics for Scottie Pippen. Polynice then arrived in Detroit in 1992 after being traded by the Los Angeles Clippers and departed two years later when he was traded to the Sacramento Kings for Pete Chilcutt and two draft picks. In 15 NBA seasons, Polynice averaged 23.5 minutes, 7.8 points and 6.7 rebounds per game, with a career PER of 13.2. At 6'11", he was often signed by teams in need of a rebounder and interior player, and consistently ranked among the league leaders in offensive rebounds. 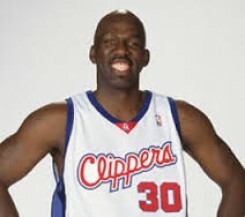 Polynice retired from the NBA in 2004 after a brief return to the Clippers. He later played for the Los Angeles Aftershock of the ABA. Upon retiring, Polynice served as coach for the ABA's Long Beach Breakers. In 1997, still active, he worked as a color commentator for the WNBA's Sacramento Monarchs. He now runs a basketball training camp called NextStar Basketball.